There was a bad start to the year in Carlisle after floods devastated the area and forced thousands of people out of their homes. Three people died when the region was hit by storms, and a month's worth of rain fell in 24 hours in January. Many residents are still living in temporary accommodation as their homes are repaired, and the cost of flood damage is expected to top £250m. 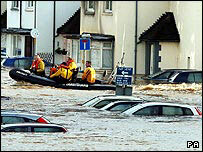 The city suffered further flooding following heavy rain in October. Also in January the so-called Lady in the Lake trail reached its conclusion. 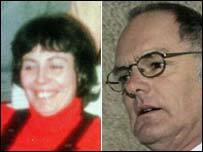 Retired teacher Gordon Park was found guilty of the murder of his wife nearly 30 years ago. Park, 61, from Barrow, bludgeoned Carol, then aged 30, to death with an ice axe and dumped her weighted body in Coniston Water in July 1976. A jury at Manchester Crown Court dismissed his not guilty plea, and he was jailed for life. In December police revealed that the 'baby Lara' case was now closed after DNA evidence identified her parents as a couple who had since died. The child's body had remained buried in a block of concrete for more than 15 years before being discovered in a garage in Barepot, Workington, in 2002. In July an inquest found she had been unlawfully killed, but those responsible have never been found. Officers working on the case attended her funeral in September. Hundreds of dental patients queued for hours after the announcement in November that two practices were to leave the NHS. People waited to register as private patients at Richard Wilson and Partners' surgeries in Carlisle and Penrith, which were halving their 17,000 patient list . A few days later, Liz Mather's dental practice, in Carlisle, also said it was to stop providing NHS dental care for adults. There is a shortage of both NHS and private dentists in North Cumbria. A controversial speed limit on England's largest lake was introduced in March. 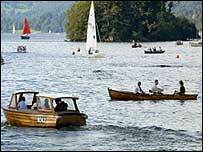 Campaigners had urged the Lake District National Park Authority to halt the 10mph limit on Windermere, saying it would impact on tourism. However, the authority defended their decision, saying it would make the lake a more tranquil place to visit. A man was later fined £200 after being found guilty of breaking the limit by driving a powerboat at 20mph. A controversial move to break up the former hill farm of Beatrix Potter in Cumbria was given the go-ahead. The Peter Rabbit author left High Yewdale, in Coniston, to the National Trust when she died and it had been run as a fully working farm. When the current farmer retired, it was felt the farm was no longer viable and a decision was made to divide the land between neighbouring properties. This was reviewed following strong opposition, but was backed up in November.